Improving SEO is one of the primary objectives of blogging. One of the often-neglected aspects of completing your post is making sure your meta descriptions are an effective sales tool… and …. that they include your keyword phrases thereby improving your search engine optimization (SEO). Of course, including your keyword phrase will not necessarily make your meta description into a “clickthrough magnet”. Writing a good meta description takes the same kind of thought and effort as writing a good headline. Yoast has written a great blog post on this subject and I highly recommend your taking time to read it. 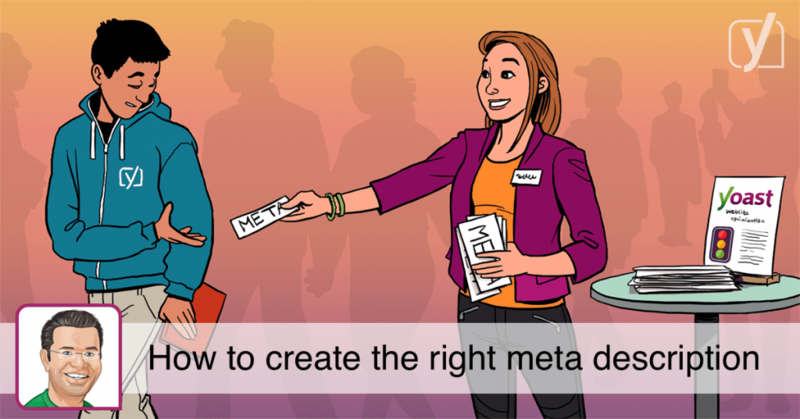 “The meta description is a ~160 character snippet, a tag in HTML, that summarizes a page’s content. Search engines show the meta description in search results mostly when the searched for phrase is contained in the description. Optimizing the meta description is a very important aspect of on-page SEO. Search engines say there is no direct ranking benefit from the meta description – they don’t use it in their ranking algorithm. There is an indirect benefit, though: Google uses click-through-rate (CTR) as a way of determining whether you’re a good result. If more people click your result then they’d expect based on your position, they move you up. This is why optimizing the meta description is so important, as is optimizing your titles.